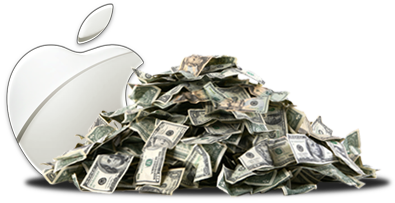 Apple has announced the third quarter financial result of the year (Q3 2011) and it’s a new record with profit of $7.31 billion and revenue of $28.57 billion. CUPERTINO, Californiaâ€”July 19, 2011â€”AppleÂ® today announced financial results for its fiscal 2011 third quarter ended June 25, 2011. The Company posted record quarterly revenue of $28.57 billion and record quarterly net profit of $7.31 billion, or $7.79 per diluted share. These results compare to revenue of $15.70 billion and net quarterly profit of $3.25 billion, or $3.51 per diluted share, in the year-ago quarter. Gross margin was 41.7 percent compared to 39.1 percent in the year-ago quarter. International sales accounted for 62 percent of the quarterâ€™s revenue.